The National Weather Service in Omaha has issued a Winter Weather Advisory for snow and blowing snow for the Norfolk Area, which is in effect from 6 PM this evening to 6 PM CST Sunday. A mix of rain and snow will change to all snow this tonight. Some additional light snow accumulations will be possible Sunday. Initially, temperatures will be near or above freezing with falling temperatures tonight and Sunday. Precipitation is likely, however melting during the day and how quickly the precipitation changes over to all snow will affect eventual total snow amounts. Total snow storm accumulations of 4 to 7 inches is expected. High Winds and visibility are likely with this storm as northeast winds tonight will become northwest 20 to 30 mph and gusty late tonight and Sunday. Area roadways will become snow covered and hazardous. Blowing snow on Sunday will reduce visibility and make it difficult to keep the roads clear, especially in open and rural areas. The cold combined with the wind Sunday will lower wind chills to a range of 10 above to 10 below zero Sunday. A Winter Weather Advisory for snow means that periods of snow will cause primarily travel difficulties. Be prepared for snow covered roads and limited visibilities, use caution while driving. A Winter Weather Advisory for blowing snow means that visibilities will be limited due to strong winds blowing snow around. Use caution when traveling, especially in open areas. This Winter Weather Advisory is in effect for the following counties in Nebraska: Knox, Cedar, Thurston, Antelope, Pierce, Wayne, Boone, Madison, Stanton, Cuming, Burt, Platte, Colfax, Dodge, Washington, Butler, Saunders, Douglas and Sarpy. MARCIA KAY (ELSKE) MITCHELL, was born June 7, 1952, in Blair, Nebraska, to Duane and Waletta (Beum) Elske. She passed away Thursday, January 29, 2015 at her home in Fremont, Nebraska, surrounded by family. She grew up on the family farm in Stella, Nebraska. There she participated in 4H, band, pep club, track (shot put), and showing horses. She won many titles at various rodeos. She won the title of Ms. Nebraska-Kansas Queen of 1967 at the Northeast Rodeo, held in Sabetha, Kansas. She attended Stella Southeast High School until the family moved to Tekamah, Nebraska in 1968. In Tekamah, she was involved in pep club and pep band. She put her time and energy into her saxophone, and won many musical awards. She graduated in 1970 from Tekamah-Herman High School. She worked as an accountant for several businesses, including Weatherly Bros., Inc., Bob Gottsch, and Regal Printing. She married Rick Johnson in 1978, and they had one son, Joshua Johnson. She did whatever it took to get to all of Joshua’s sporting events, even all the way through his college years. She was a proud parent. If you were at any of Joshua’s football games, either high school or college, you knew where she was sitting because of the cowbell she rang with pride. She enjoyed watching football, especially the Cornhuskers, spending time with her family, and watching her grandchildren. She married Joe Mitchell in 2006. They lived in Fremont, spending time with their children and grandchildren. She was preceded in death by her mother, Waletta Elske; her grandparents, Walter and Doris Beum; aunts and uncles, Gene and Sam Thompson, Norma and Fritz Clausen. She is survived by her son, Joshua (Jennifer) Johnson, of Lincoln, NE; 3 grandchildren, Grant, Ellie and Josie Johnson; husband, Joe Mitchell, of Fremont; sisters, Debbie (Greg) Rosenboom, of Oakland, NE, Michelle (Matt) Hopkins, of Tekamah; brothers, Richard (Jane) Elske, of Tekamah, Michael Elske, of Omaha, NE; step-children, Mandy Reynolds, Mike Mitchell, Ida Mitchell, Cherri Schmidt, Brandy Amion; 17 step-grandchildren; several nieces and nephews; great nieces and nephews; cousins; aunts and uncles. FUNERAL SERVICE: Tuesday, February 3, 2015, 10:30 a.m. at First Baptist Church in Tekamah with Rev. Dr. Brian High officiating. VISITATION: Monday, 1-8 pm with family receiving friends from 6-8 p.m. at Pelan Funeral Services in Tekamah. Visitation will also be held at the church one hour prior to service. Tuesday, February 3rd at 10:00 a.m., an informational meeting concerning the lawsuit against Syngenta will be held at the Green Lantern in Decatur, NE. Dave Domina and Brian Jorde, agricultural lawyers, will be conducting the meeting, answering questions and addressing concerns during the meeting. There are also several other meetings being held throughout the state listed below. Graham Christensen may also be contacted at 402-217-5217 for further information. 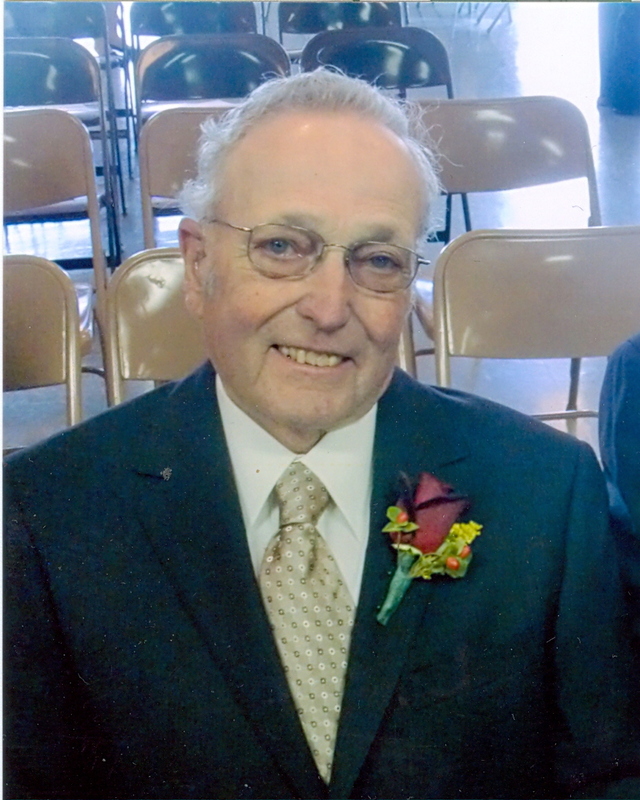 Willis C. Bopp, age77, of Hooper, Nebraska passed away Thursday January 29, 201, at Dunklau Gardens in Fremont, Nebraska. Funeral service will be 10:30am Monday, February 2nd, at the Redeemer Lutheran Church with Rev. Joel Schroeder officiating. Burial with Military Honors will follow in the Hooper Cemetery. Visitation will be held Sunday at the Redeemer Lutheran Church from 2 to 6pm with the family receiving friends from 2 to 4pm. In lieu of flowers memorials are suggested to Redeemer Lutheran Church, Lutheran Family Services, Nebraska Children’s Home Society and the Salvation Army. Online guestbook can be accessed at http://www.hooper-scribner,com. Ludvigsen’s Hooper Funeral Chapel is in charge of arrangements. Willis was born July 29, 1937 on a farm near the Scribner Air Base to Clarence and Elnora ‘Thomsen’ Bopp. He was raised in rural Hooper. Willis was baptized on September 12, 1937 and confirmed on May 13, 1951 both at Bluffs Trinity Lutheran Church. He graduated from Hooper High School in 1956. After high school Willis joined the United States Navy serving aboard the USS Hancock (CV/CVA 19) from 1956 to 1958. After his military service he returned to the area. He married Janice Thernes on June 28, 1959 at Redeemer Lutheran Church in Hooper. After his marriage, he farmed in the Maple Township area and continued to farm his whole life, moving into Hooper in the spring of 2014. Willis was a member of Redeemer Lutheran Church, serving the church in many ways including the Redeemer Church Council and the Redeemer Foundation Board. Willis was involved in many community activities. He served on the Maple Township Board, District 88 School Board, Hooper Co-op Board of Directors, Hooper Medical Clinic Board, Logan View Foundation Board and as the area President of the AAL (now Thrivent Financial). He is a lifetime member of the Angus Association and Lifetime Member of the FFA Alumni Association. Any one who needed something fixed brought it to him and he loved fixing things in his shop. Daughter – Nancy and husband Mike Ecklun of Holdrege, NE. Sisters-in-law – Kay Bopp of Ballwin, MO. Willis was preceded in death by his parents, sister Loretta (Mruz) Riskowski, brother Marlin Bopp and an infant brother. 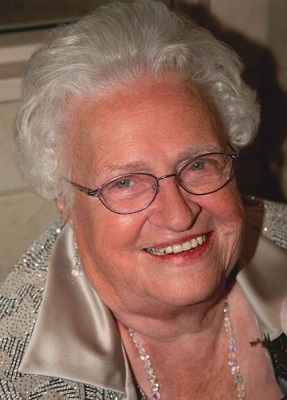 LORNA WEBSTER, 84 years, of Lyons, Nebraska, passed away Wednesday, January 28, 2015 at the Oakland Mercy Hospital in Oakland, Nebraska from heart failure. Lorna Helen Suhr was born to Rudolph and Adeline Suhr on August 22, 1930 on a farm northwest of Pender, Nebraska. Lorna graduated from Pender High School. She married Raymond Lewis Webster on May 29, 1948. They lived east of Lyons until 1952, when they moved east of Lyons, where she resided until she became ill in November 2014. Lorna’s passion was her children and grandchildren. She loved crocheting, quilting, and all forms of needlework. She spent hours crocheting dolls, hand quilting, and embroidering various treats for her children and grandchildren. Lorna taught, by example, the meaning of love and patience to all of her family. Lorna was preceded in death by her husband, Raymond. Survivors include two sisters-in-laws, Tootie Webster, of Lyons, Eleanor Webster, of Pender; four children: two sons, Lyle Webster, of Lyons, Lynn (Holly) Webster, of Salt Lake City, UT; two daughters, Wanda (Ron) Brovont, of Lyons, Sonja (David) Errick of Salt Lake City; 4 grandchildren, Kim (Dale) Beckstrom, Tim (Cristina) Brovont, Becky (fiancé Fred), Matt; 3 great grandchildren, Kalter & Raymond Beckstrom, Wesley Brovont and another little Brovont on the way. FUNERAL SERVICE: Saturday, January 31, 2015, 9:30 am, at the First Presbyterian Church in Lyons. VISITATION: Friday, 6-8 pm with family receiving friends at Pelan Funeral Services in Lyons. Visitation will also be held at the church one hour prior to service. Family and Friends are invited to the family farm (1698 County Road 19), at 1 pm for a gathering following the graveside services in Blair. MARCIA (ELSKE) MITCHELL, 62 years, of Fremont, Nebraska, passed away Thursday, January 29, 2015, at her home in Fremont. FUNERAL SERVICE: Services are pending with Pelan Funeral Services Tekamah. LORNA WEBSTER, 84 years, of Lyons, Nebraska, passed away Wednesday, January 28, 2015 at the Oakland Mercy Hospital in Oakland, Nebraska. FUNERAL SERVICE: Saturday, Janaury 31, 2015, 9:30 am, at the First Presbyterian Church in Lyons. The Burt County Board of Supervisors met this date pursuant to adjournment of their last meeting with the following members present: Clifford Morrow, David Schold, Greg Brummond, Matt Connealy, Perry Rogers and Ted Connealy. Absent: Gerald Newill. The meeting opened at 9:00 A.M. upon motion by Rogers, seconded by Schold, with roll call vote as follows: Ayes – Morrow, Schold, Brummond, M.Connealy, Rogers and T.Connealy. Nays – none. County Clerk Sarah Freidel informed the public that the Nebraska Open Meeting Act is posted on the wall. The first order of business was reorganization. County Clerk Freidel asked for nominations for Chairman of the Board. Brummond motioned to nominate Clifford Morrow, and M.Connealy seconded the motion. Schold moved that the nominations cease and that Morrow be elected Chairman of the Board for 2015. The motion was seconded by Rogers, with roll call vote as follows: Ayes – Morrow, Schold, Brummond, M.Connealy, Rogers and T.Connealy. Nays – none. 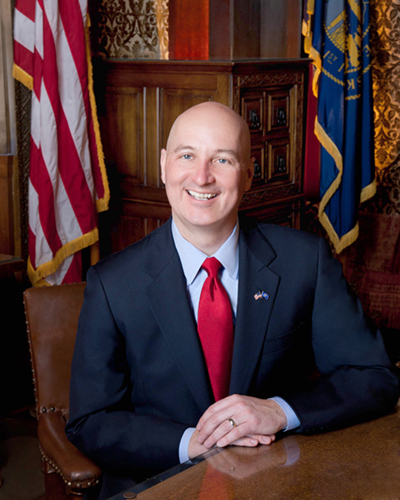 The next order of business, also part of reorganization, was to appoint a Vice- Chairman. Chairman Morrow asked for nominations for Vice-Chairman of the Board. Schold moved to nominate Matt Connealy, and Brummond seconded the motion. Morrow moved that the nominations cease and that M.Connealy be elected Vice-Chairman of the Board for 2015. The motion was seconded by Schold, with roll call vote as follows: Ayes – Morrow, Schold, Brummond, M.Connealy, Rogers and T.Connealy. Nays – none. Upon motion by Brummond, seconded by M.Connealy the agenda was approved as amended with the addition of the possible formation of a Road Committee, with roll call vote as follows: Ayes – Morrow, Schold, Brummond, M.Connealy, Rogers and T.Connealy. Nays – none. The County Clerk Report of Fees, the County Court Report of fines, the District Court Fee Report and the Zoning Report for December, as well as the Sheriff’s Quarterly Reports and the Treasurer’s 6 Month Report, were approved upon motion by M.Connealy, seconded by Rogers, with roll call vote as follows: Ayes – Morrow, Schold, Brummond, M.Connealy, Rogers and T. Connealy. Nays – none. The minutes of the last meeting were approved upon motion by Rogers, seconded by Brummond, with roll call vote as follows: Ayes – Morrow, Schold, Brummond, M.Connealy, Rogers and T.Connealy. Nays – none. The following Miscellaneous Receipts in the amount of $122,157.44, along with the Fund Balance Report, were approved upon motion by M.Connealy, seconded by T.Connealy, with roll call vote as follows: Ayes – Morrow, Schold, Brummond, M.Connealy, Rogers and T.Connealy. Nays – none. Newly Elected County Attorney Francis W. Barron III came before the Board to introduce himself and to offer his services for any needs of the Burt County Board. BE IT RESOLVED that the County Treasurer be authorized to deposit funds in excess of the capital and surplus in any depository designated for county funds, provided such depository furnish the proper securities as provided by law, and that the Treasurer be and she hereby is, authorized to invest surplus funds, if there be any, in United States Treasury bills or certificates of deposit in the following financial institutions: First Nebraska Bank, Decatur, First National Bank Northeast, Tekamah, and Washington County Bank, Tekamah. DATED this 13th day of January, 2015, at Tekamah, Nebraska. Board Member M.Connealy seconded the motion, the Board Chairman declared it adopted, with roll call vote as follows: Ayes – Morrow, Schold, Brummond, M.Connealy, Rogers and T.Connealy. Nays – none. Upon motion by M.Connealy, seconded by T.Connealy, the Board appointed Peggy Smith as Burt County Highway Superintendent for 2015, with roll call vote as follows: Ayes – Morrow, Schold, Brummond, M.Connealy, Rogers and T.Connealy. Nays – none. Also part of reorganization for 2015, upon motion by M.Connealy, seconded by T.Connealy, the Board approved the following board committee appointments, with roll call vote as follows: Ayes – Morrow, Schold, Brummond, M.Connealy, Rogers and T.Connealy. Nays – none. All of the Burt County Supervisors are on the Burt County Weed Board. Upon motion by Schold, seconded by Brummond, the Board approved special designated liquor licenses for Ronnie’s Bar at St Patrick’s Catholic Church for Lenten fish fry dinners on February 20, February 27, March 6, March 13, March 20 and March 27, 2015, with roll call vote as follows: Ayes – Morrow, Schold, Brummond, M.Connealy, Rogers and T.Connealy. Nays – none. Upon motion by T.Connealy, seconded by Schold, the Board approved an annual cost of living raise based on the Midwest Economic Consumer Prices available January 16, not to exceed 3%, with roll call vote as follows: Ayes – Morrow, Schold, Brummond, M.Connealy, Rogers and T.Connealy. Nays – none. Highway Superintendent Smith discussed the 1 and 6 Year Road Plan with the Board. Allen Soll came before the Board to visit with Smith and the Board to request to keep Airport Road in the County Road Plans. Upon motion by M.Connealy, seconded by Schold, the Board authorized Chairman Morrow to sign the Burt County Weed Control Authority Activities and Information Report, with roll call vote as follows: Ayes – Morrow, Schold, Brummond, M.Connealy, Rogers and T.Connealy. Nays – none. Board Member T.Connealy briefly reported information on the lease of a tractor for the possible replacement of an existing County Tractor. Discussions followed regarding the possible formation of a Road Committee, no action was taken at this time. There being no further business to come before the Board at this time, the Board adjourned at 10:20 A.M. until 9:00 A.M. January 30, 2015. Hope everyone had a nice weekend, this week I would like to mention the Snowman party for the residents on Thursday January 29th at 2:30 pm. Next week is a new month so we start with our monthly volunteer executive meeting on Monday February 2nd at 2:30pm. We also have a resident celebrating a birthday on February 3rd Happy Birthday to Jeanette Johnson. Church Service for Sunday February 1st at 2:30 pm will be given by the Craig – Alder Grove Church with a luncheon served afterwards. On Wednesday February 4th at 1:00 pm is Communion with Pastor Hoden. Activities for the week of February 2nd to February 7th are as followed, Reading with Marilyn, Manicures, Coffee and Conversation, Crafts, Bingo w/ WOW, Bible Fellowship, Word Games, Friday Bingo, Let’s Play Ball, Crafty Cooking, Saturday morning movie, and Lawrence Walk. Volunteers signing in last week were; Judy Nelson, Betty Hanna, Bonnie Fleischman, Betty Hanna, Mary Donavon, Patty Miller, Mary Pearson, Pat Anderson, Heather Silvey, and Anne Anderson. Guest sign in last week were: Tom and Lizzie Larson to visit Dorothy Larson. Trudie Craven and Beth Kieldgaurd to visit Lillian Mueller, also visiting was Kris Peters.